The BEST film to be released in 2016, thus far. We get a great story, that slowly builds to an exciting, and surprising end. Everything that a great film should be. However, it is the strength of the dialogue, and characters that really have you smiling as you leave the theater. Ben Foster, who I first saw in another indie film, The Messenger, is amazing as one of two brothers, looking to execute a plan. 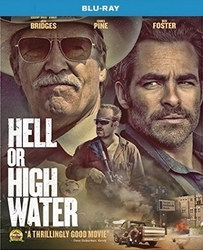 Chris Pine, plays it cool as a perfect voice of reason, to his brother's loose cannon persona. 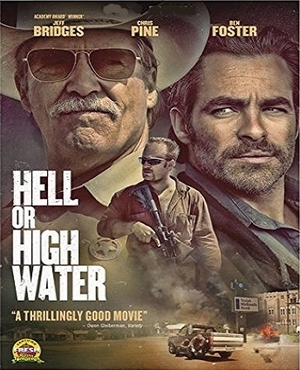 Jeff Bridges takes his role somewhere between Tommy Lee Jones, in No Country for Old Men, and his great remake of True Grit. Either way, always a joy to watch. Gil Birmingham offers great support to Bridges character, and there is a classic restaurant scene, with an older waitress, that should be instantly added to classic scene trivia. Overall, you may say you have seen some elements of this film before, but none of them all pulled together in such a satisfying, and successful way. Hats off to director David Mackenzie, and props to Giles Nuttgens, for some beautiful scenes of the southwest. GO SEE THIS FILM NOW!